Mini album, 20 mins with two bonus tracks. The first new recording from punk poet/songwriter Attila and his band since 2004s Zero Tolerance - with as always, some very topical songs!More than ever there is plenty for him to write about....Attila has been touring the world for 31 years, 2700 gigs, about 20 LPs/CDs, 6 books of poems.. 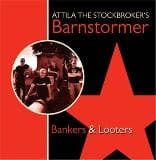 This album is released on the Mad Butcher Classics label to celebrate radical poet/songwriter Attila the Stockbrokers 30th anniversary. Attila did his first gig on Sept 8 1980 and since then has done about 2700 more in 24 countries and released over 20 albums/CDs and 6 books of poems. For this release, aimed specifically at a mainland European audience, Attila has selected the best recordings of his best songs - driving, melodic punk and ska, with some great singalong choruses, plus a couple of his best known ballads. As always, the lyrics are to the fore, every word is crystal clear, and all the lyrics are in a lavish 16 page booklet so you can read as you listen! 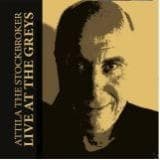 Live at the Greys is Attilas most recent spoken word album, recorded at one of Brightons best-loved music pubs in March 2015 and featuring all his latest poems plus two studio bonus tracks. It is released to coincide with his 35th anniversary as a performance poet - more or less the same time as his autobiography Arguments Yard, published by Cherry Red Books in September 2015. 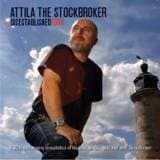 Third record of the punk poet Attila and his band Barnstormer. Including for example a new version of MARKTSEKTOR ONE, a great homage to Joe Strummer (COMMANDANTE JOE) and his first real Oi song (OIL POWER). Limited to 333 copies.